Rooms at this rate are limited, so please make your reservation early! Call 1-800-659-2220 and reference MO Organic Association or book online at https://www.reseze.net/servlet/WebresResDesk?hotelid=1554. Select the desired dates and use Group ID 69275 to receive the discounted price. 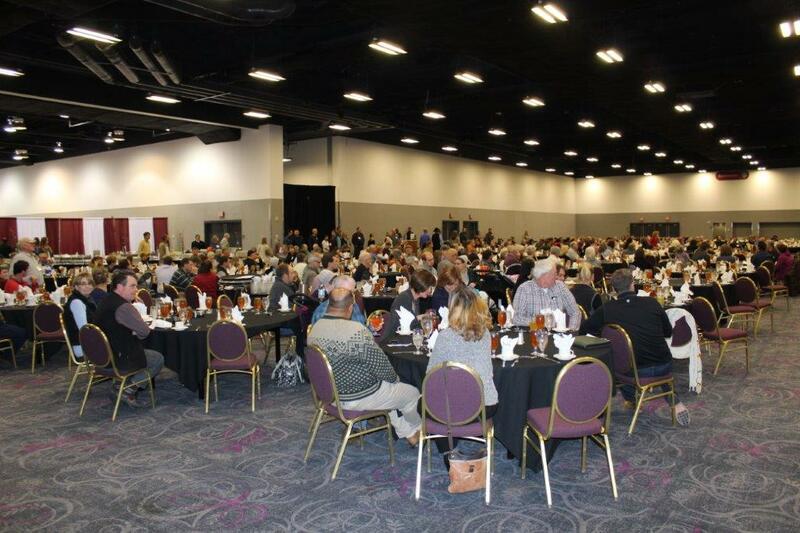 Friday Evening's Keynote Presentation will be at 5:30 pm in the Water Room, followed by our On-site Dinner & Live Auction in Salon C with dinner service starting at 6:30 pm. Laura Lengnick has explored agriculture and food system sustainability through more than 30 years of work as a researcher, policy-maker, educator and farmer. Laura’s work in soil quality and sustainable farming systems was nationally-recognized with a USDA Secretary’s Honor award in 2012. 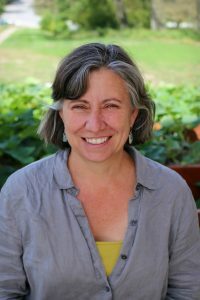 She contributed to the 3rd National Climate Assessment as a lead author of the 2012 USDA report Climate Change and U.S. Agriculture: Effects and Adaptation. In 2014, Laura founded Cultivating Resilience, LLC, a private firm based in Asheville, NC offering climate risk and resilience services to business and community-based organizations. Her 2015 award-winning book, Resilient Agriculture: Cultivating Food Systems for a Changing Climate (New Society Publishers), examines climate change, resilience and the future of food through the adaptation stories of 27 leading sustainable farmers and ranchers located across the U.S. You can learn more about Laura and her work at www.cultivatingresilience.com. 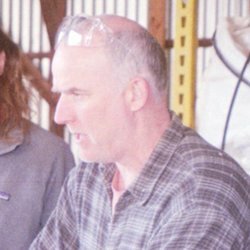 Mark Shepard is the CEO of Forest Agriculture Enterprises LLC and founder of Restoration Agriculture Development Inc., but is most widely known as the author of the award-winning book,Restoration Agriculture: Real -World Permaculture for Farmers. 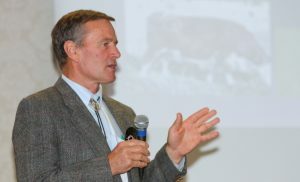 His inspiration largely came from New Forest Farm, the 106-acre perennial agricultural savanna considered by many to be one of the most ambitious sustainable agriculture projects in the United States. New Forest Farm is a planned conversion of a typical row-crops grain farm into a commercial-scale, perennial agricultural ecosystem using oak savanna, successional brushland and eastern woodlands as the ecological models. Trees, shrubs, vines, canes, perennial plants and fungi are planted in association with one another to produce food (for humans and animals), fuel, medicines, and beauty. Hazelnuts, chestnuts, walnuts and various fruits are the primary woody crops. The farm is entirely solar and wind powered. Through the label G & L Whole Food, Gail Fuller markets grass finished beef and lamb, pastured pork, and chicken as well as free range eggs. This fall we will be adding duck as well. The pigs and chickens are supplemented grain and we attempt to grow as much of the grain on farm as possible. We grow a wide array of crops (about 20) and have planted about 2/3 of the acres back to pasture. When crops aren’t being grown the ground is planted to a multi species cover crop. Some of our cover crops have over 100 species of plants. All this diversity is vital to, not just growing soil, but allowing the eco system to function normally. Our emphasis is on growing deep topsoil by following the principles of soil health. By doing this it allows us to grow nutrient dense food, without hindering the next generations ability to do so. By focusing on this we have not only reversed soil erosion, but are now growing soil, and doing so at a much faster rate than most soil scientist thought possible just a few years ago. In the process we have greatly reduced our dependence on herbicides and fertilizer, and completely eliminated insecticides and fungicides. Our goal is to completely remove all inputs from our system, all while not doing any tillage. This allows our ecosystem to stay in tact ensuring Mother Nature will be working with us, instead of against. Presentation Titles: "Whorls, Swirls and Curls" & "SOIL, Plant, Animal and Human Health"
Presentation Title: "Weed and Grass control Basics"
Gary McDonald was born and raised on a central Illinois Grain and Livestock Farm where Organic Farm practices were used before it was called "Organic" and has many years' experience in organic grain and livestock production. He rented his first farm in 1979 and transitioned over 800 acres to what today would be considered Certified Organic Production. He served as the first Illinois Chapter President for the startup of the Illinois Organic Crop Improvement Association (OCIA). Presently Gary is involved in hands-on Organic Farm Management working with all facets from Organic System Planning, Records, and Inspections to Marketing. Much of what he deals with is weed control and marketing. Though every step of production is very important weed control and marketing consistently prove to be most critical. He also does Consulting and assists Land Owners with the process of transitioning their land to Certified Organic often times starting first with the search for a qualified Operator. Most recently Gary has transitioned a farm he has purchased to Certified organic and in 2016 rented an additional acreage that is in T2 Transition to Organic. 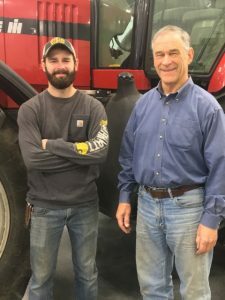 Presentation Title: "Weed Control in Organic Crops"
Paul Huenefeld Paul and his son, James, own and operate Tree Farm Inc., located in southeast central Nebraska. James is the 5th generation to work the family farm, begun over 140 years ago. Their irrigated farm produces organic certified white corn, popcorn, soybeans winter wheat, and a variety of cover crops in the rotation. Natural-fed beef is an additional enterprise, adding livestock to the operation. Paul and his wife, Dori, took seriously the challenge to farm in harmony with their Creator decades ago. The course ahead was often uncharted, but they have never regretted the road they chose. Their life has also been blessed with 5 children and 12 grandkids. 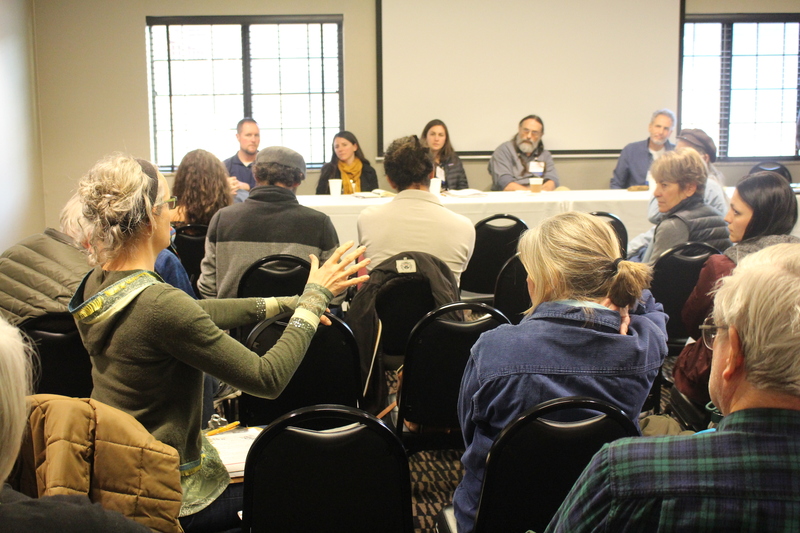 More than 30 years of organic production has yielded them a lot of information that is looked at through a “systems approach,” of which they have freely shared with many. 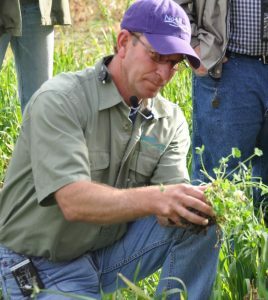 Innovation has been the norm in the challenge to control weeds. Many tools have been created or modified in their farm shop to meet the needs. James and his wife Megan, are a valuable asset to the operation, taking ideas gleaned from years of trial an error, and building equipment to assist others in successful organic weed control. They have recently begun Thermal Edge Ag, an enterprise building weed flamers and precision cultivators. 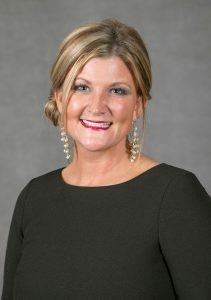 Lane McConnell has more than 10 years of experience in marketing and value-added agriculture where she has worked at the Missouri Department of Agriculture, Brownfield Farm Radio Network, as a freelance consultant and was the visionary behind the Farmers Market of the Ozarks that was named the Top 5 Farmers Market in the Country in 2015. McConnell now resides with her family in Southwest Missouri where she serves as the marketing arm of her family farm, Grassland Farm, and runs her own all natural bath and body business, Mama Lane's All Natural, as well as continuing to serve clients as a marketing consultant. 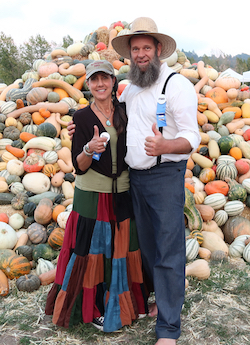 Doug and Stacy are city slickers turned pioneer/style homesteaders, growing their own food from heirloom seeds. They have a passion for sharing their knowledge of health and healing using organic foods. You can follow their adventure on YouTube at OFF GRID with DOUG and STACY where they have over 129k subscribers and over 1 million views a month. Keeping bees can be simpler than growing tomatoes. Learn the tested methods that allow you to add any number of hives to your farm or garden with minimal cost. Start with free local bees that are resilient and productive, choose a hive model that is bee-friendly and requires minimal management, and let the bees do the rest. Leo Sharashkin packs this visually rich presentation with practical information that you can easily apply in both rural and urban settings. produced today, and how to create truly wholesome, pollen-rich honeys with unique properties and flavors. Discover 30 ways in which artisan honey is different from commercial varieties, how to choose, and why organic honeys are not necessarily the best. Learn about other hive products (including beebread and bee milk), some of which you've probably never heard about before. Omar Galal is the current president and Design Engineer for Enginuity, LLc, a multifaceted engineering and manufacturing company. Omar has a double major degree in mechanical and Aeronautical engineering with an emphasis on manufactruring. His 17 years of engineering experience include large scale commercial project inspection for power plants, bridges, stadiums and multiple 200k sq. ft facilities, design engineer for an automotive pyrotechnic company, and lead project engineer for an aerospace company. Projects of note are: Responsible Engineer for the B2 (Stealth Bomber) Weapon System, Atlas V Liquid Rocket Booster Separation System, and the Delta IV Payload Separation system. As the principal of Enginuity, Omar has patented and designed multiple products. Example include: The highest output capacity production machine for Ethiopian style bread, RainReserve Diverter Kit, Build-a-Barrel and over 20 innovative designs for products and methods for manufacturing. 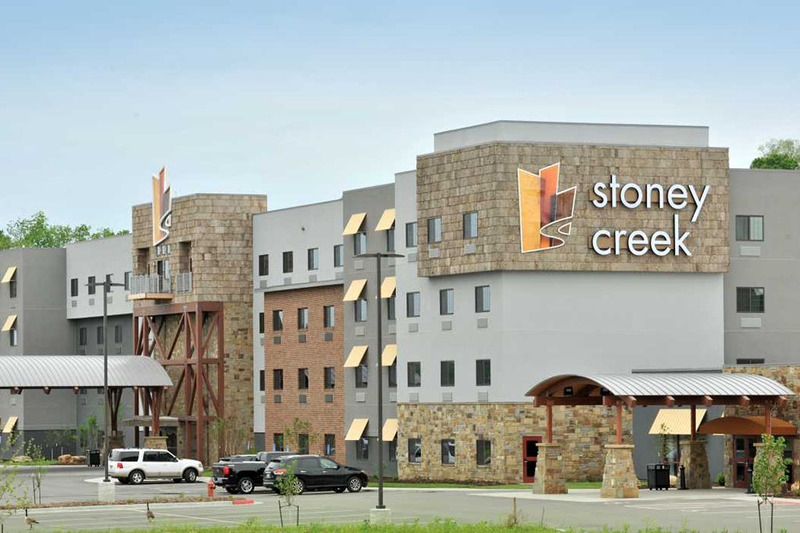 Omar is also the current owner and landlord for the Ozark Innovation Center, a 40,000 square foot facility that was once the Wright County Hospital. Since the initial purchase all renovations, repairs, building improvements and maintenance has been managed by Omar. His role in The Local Food Center will be to design and strategize a successful business model, design facility and production floor, set-up production methods, lead a team of food scientists for product development and manage day to day operations. AgMaxx exists to help farmers be more successful. Our goal is to help farmers make money, save money, and save time through education, technology, and providing helpful services. AgMaxx owns the BigYield product line, which will help growers increase their yield and profits, as well as the VISPS verification system, which is a tracking and tracing system to help growers add value to their products. Billy Polansky works as the Executive Director of Columbia’s Center for Urban Agriculture, leading the day-to-day operations. He moved to Columbia in 2008 to be with his now-wife and fellow CCUA team member, Carrie Hargrove. Before coming to Columbia, Billy spent time working at the Heifer Ranch educating people about agriculture and global poverty. 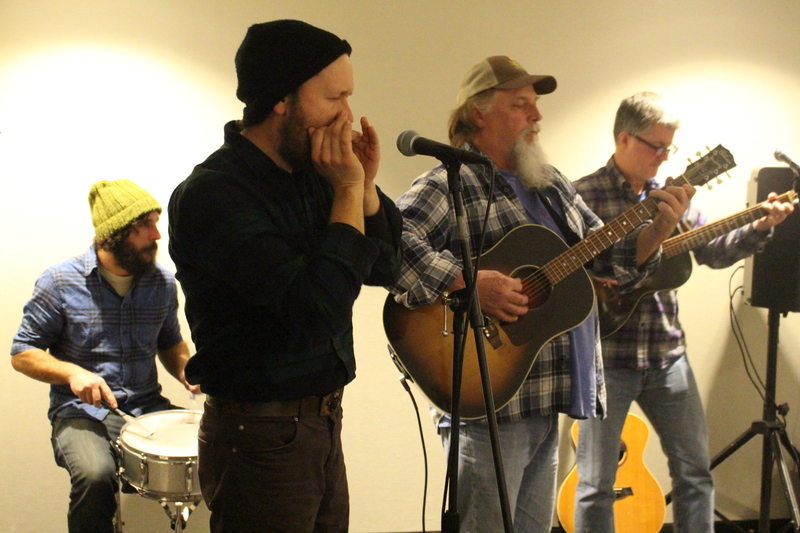 He also served as an AmeriCorps VISTA at the Missouri River Communities Network, where he worked on local foods projects. Billy holds a bachelor’s degree in Geographic Science from James Madison University in Harrisonburg, VA and an MBA from Columbia College. When Billy isn’t working, you can find him at home reading, petting kitty cats or working in his garden. Rachael Wittenberger has been practicing physical therapy since 1999 and has owned her own practice since 2016. 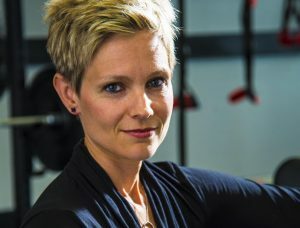 She specializes in biomechanics of the pelvis and spine and is a hands-on manual therapist who also assesses movement pattern dysfunctions and muscle imbalances. This year she became certified as a Nutritional Therapy Practitioner, incorporating functional nutrition into her practice as well. Problem solving pain is her passion. She has dreamt of creating a space where practitioners with a variety of skill sets could come together under one roof; open-minded practitioners who truly believe in looking at the body as a whole, functioning unit. Providers who, like herself, are continual students of the human body. She was able to do that this year in opening the Mindful Movement Wellness Center. How we think, move, process emotion, what we eat, all have a significant impact on our well-being. She is thrilled to share this message of integrated wellness and to bring awareness to the importance of knowledge and prevention. Learn how to prepare simple useful preparations for health and beauty from your own home grown herbs. In this one hour demonstration, find out how to process herbs in a variety of ways including teas, tinctures and salves. Joey Los, former president of the Missouri Organic Association, now runs a bed and breakfast on the Katy Trail in McKittrick, where she has a fantastic organic permaculture garden. 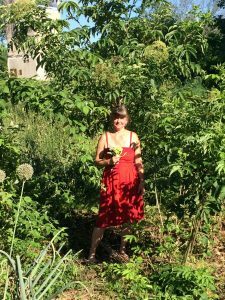 An enthusiastic herbalist and forager, she regularly dispenses healing remedies to her guests and friends and shares her enthusiasm for cooking, growing and fermentation. Joel helps agricultural innovators and businesses obtain, protect, and promote intellectual property and create value up the food chain. He serves clients nationally in crop/livestock production endeavors such as seed, propagation materials, biological inputs, conventional and organic pesticides, identity-preserved materials, and the businesses that deliver food to the end-user. He has a Master of Laws degree in Agricultural Law and has been practicing for over 20 years. He graduated from the Louisiana Agricultural Leadership Development Program - Class 10, and is a lifetime member of Ag Leaders of Louisiana. Joel’s passion is finding solutions to his client’s difficult legal challenges and preserving their freedom to operate in an industry dominated by giants. Presentation Title: "Low Input, High Impact Sheep Production"
Luke Wilbers grew up on a diversified crop and livestock farm just outside of Jefferson City, Missouri and then attended Lincoln University receiving a BS and MS degree in Agriculture. Luke started his Agriculture career working as a Research Technician working with Dr. Bruce Shanks in 2010 managing a project that selected for parasite resistance in a mixed breed herd of goats that consisted of about 125 does. He then began his own confined operation of about 300 hair sheep ewes and 50 does inside a poultry barn. Luke currently still manages his own confined small ruminant operation, but also works as the assistant farm manager at Lincoln University where he assists with the daily operations at the Allen T. Busby Farm. Presentation Title: "An Update on Lincoln University's Busby Farms"
Chris Boeckmann, along with his wife and their four children, operate a forage-based cattle operation in Loose Creek, Missouri. The cattle enterprise is a stocker/finisher grazing operation that produces the All Natural Grass-Fed Beef that they direct market to individuals, restaurants, and health stores under the Boeckmann Family Farm label. They utilize Southpoll cattle and focus on producing a superior quality product utilizing cattle that possess the genetics to maximize performance in a low-input grass-based system. Their operation has been expanded to include free-range chickens and all-natural pork that will also be marketed directly to individuals, stores, and restaurants. The family has also added Mangalitsa hogs to their operation. The Mangalitsa hogs are a rare breed that originated in Austria and are known for their extremely dark meat and high grade of white lard. You may visit our website at www.boeckmannfamilyfarmllc.com or call Chris @573 619-2914. 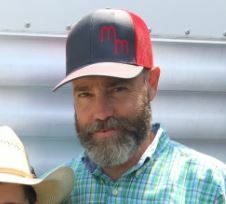 Chris also currently serves as the Farm Manager of the Lincoln University Busby Research Farm in Jefferson City, Missouri. The Busby Research Facility is a 280 acre operation with research and demonstration projects related to organic and integrated production systems. Currently, the organic research involves three thousand blueberry plants with topics that include organic fertilizers, mulching, weed control, integrated pest management, irrigation, and soil properties. Additionally, livestock at the Busby Facility includes cattle, sheep, and goats that are being utilized for research and demonstration in a multi-species grass-based system. Topics of interest for the livestock include mineral supplementation, fencing, watering systems, silvopasture, and forage utilization. 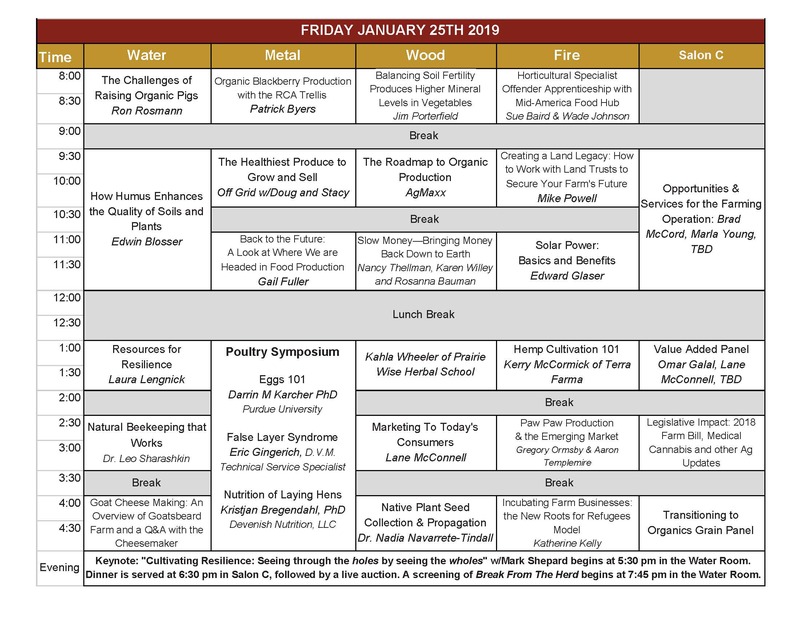 Presentation Title: "Scratching that Niche - Growing & Marketing Cut Flowers"
This session will cover intensive urban flower farming, production methods, variety selections, and marketing to florists, at farmers’ market, and wedding/event design. Join us for a dynamic and informative presentation from Mimo Davis, who has been growing specialty cut flowers in Missouri since 1994. Her first farm was called WildThang located in Ashland, Missouri. 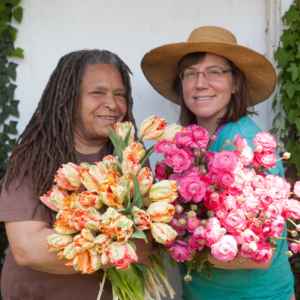 Her current project is Urban Buds: City Grown Flowers, an acre urban specialty cut flower farm located in the south St Louis Dutchtown neighborhood. Season extension techniques feature prominently in the Urban Buds production, as does diversity of plant varieties grown, typically 70 different beauties annually. The flowers are sold at Tower Grove Farmers’ Market, wholesale to florists, and are used in Urban Buds wedding and event design. Mimo holds a graduate degree in horticulture from North Carolina A &T University. She farms with her business partner Miranda Duschack, and together they have a son named August. 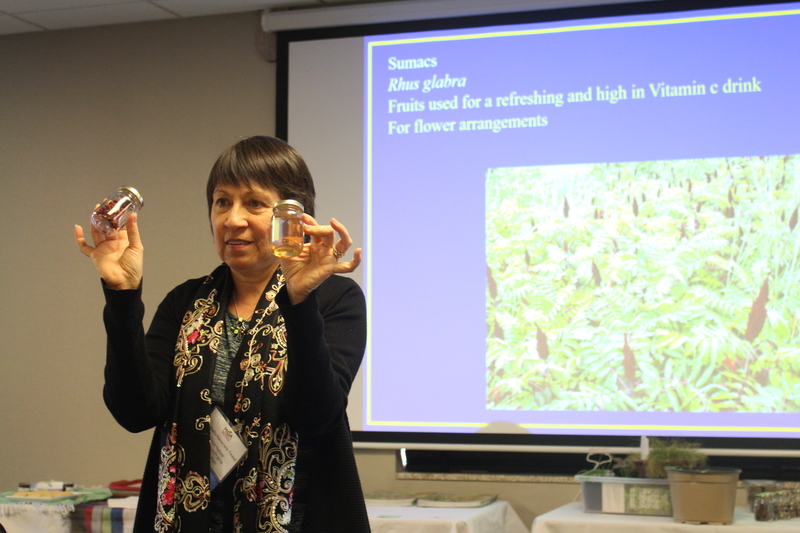 Presentation Title: "Acorn Processing for Fun and Profit" & "Native Plant Seed Collection and Propagation"
Nadia Navarrete-Tindall, PhD. Native Plants Specialist with more than 20 years’ experience working with native plants in Missouri and in her native El Salvador. She worked for the University of Missouri and Lincoln University for the past 16 years. In 2017 she started her own business, Native Plants and More to offer education and consultation on native plants. While at Lincoln, she developed the Native Plants Program and conducted two popular events: Dining Wild and In Touch with Nature that introduced people from across the state to the importance of native plants in conservation and for their value-added potential, especially food. 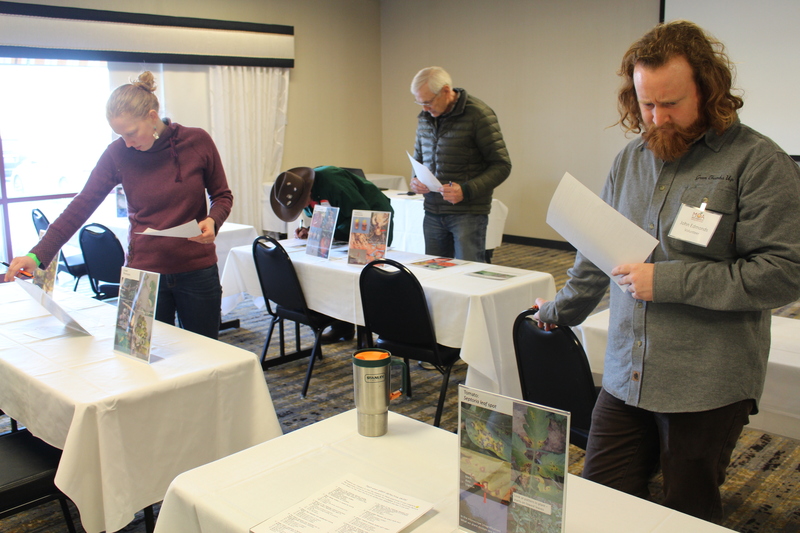 She offers training on various topics in English and Spanish such as ‘Native Plants as Specialty Crops and Native Plants for Native Pollinators. She can be reached by email: NativePlantsandMore@gmail.com or Facebook page: Native Plants and More. She specializes in creating demonstration gardens and fincas, both mostly established with native edible plants as crops. Fincas are small but highly diversified farms. 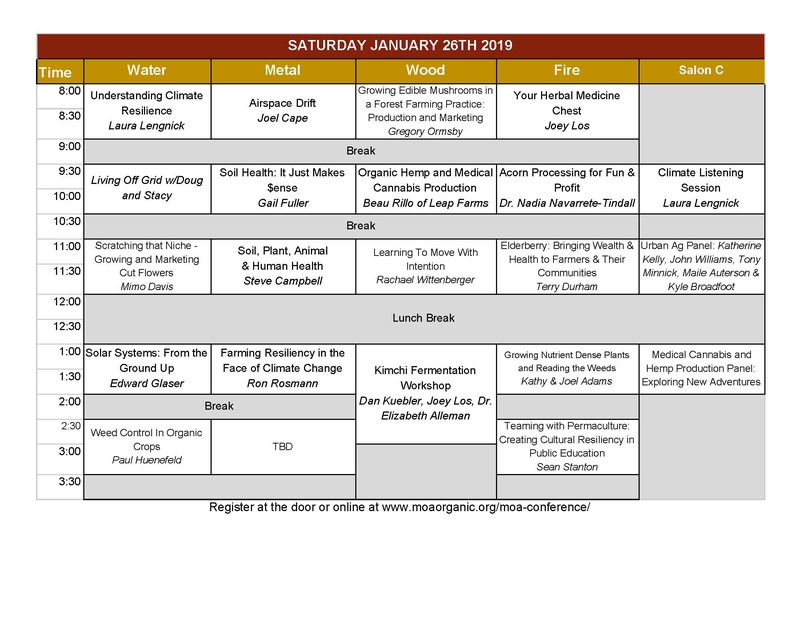 Presentation Title: "Farming Resiliency in the face of Climate Change"
My wife, Maria and I, along with two of our three sons and their families farm 700 acres in western Iowa near Harlan. The farm has been certified organic since 1994. We stopped the use of all pesticides in 1983. I am a 1973 graduate of Iowa State University with a B.S. degree in Biology. 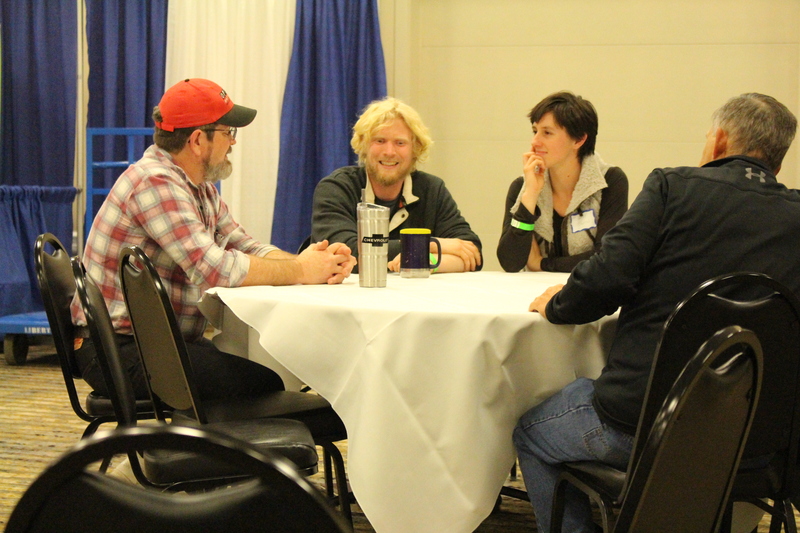 I am a founding board member of the Practical Farmers of Iowa having served as both vice-president and president. I am a past president and board member of the Organic Farming Research Foundation in Santa Cruz, Calif. We have a diverse farming operation growing many different crops including corn, soy, small grains, popcorn, hay, pasture and diverse species of cover crops. We have 100 Red Angus mother cows, 50 sows and all of our beef and pork is certified organic. Maria markets the meat and other products through her “Farm Sweet Farm” store located on the farm. Some is also marketed through Organic Prairie. Family members also own and operate both a local foods restaurant in Harlan called “Milk and Honey” and a Farm Table procurement and delivery business. We have conducted over 40 on-farm research projects through PFI since 1987. Terra Farma was created in 2016 focusing on oil extraction, but by necessity of the opaque market we have developed genetics, seeds, clones to develop our farming network. We saw hemp’s potential and moved to Kentucky to pursue the opportunity before most other states had research pilot programs of their own. My responsibilities at Terra Farma include general business activities, bulk brokering/sales, farming partners relationships, greenhouse partners relationships, and assist in all operations from breeding to extraction. With legalization upon us, we are excited for what the future holds and how we can help many more participate in this industry. 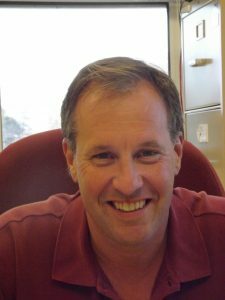 Since studying sustainable agriculture and working at a small farm institute in the 1980s, Gregory has pursued a life-long interest in agriculture and environmental concerns. Beginning in the early 1990s, he worked on environmental health and food security issues managing programs for several international development agencies. Between 1993-2008, he worked internationally supporting environmental health, food security and post conflict reintegration programs around the globe. In 2010, he launched Forestopia, a social enterprise working with growers’ cooperatives in Mexico and Central America to promote agroforestry practices and market agroforestry products. He raises sheep, grows shiitake and other mushrooms and harvests timber on small homestead. 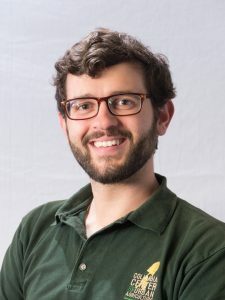 In the fall of 2014, he joined the Center for Agroforestry at the University of Missouri as Education and Outreach Coordinator. Katherine grew up working on her neighbor’s row crop and livestock farm outside of Wichita and became a backyard and community gardener when she moved to the Twin Cities and then Boston in the eighties and early nineties. She started her farming career as a field worker on organic farms in 1991 in the Boston area. She moved back to the Midwest in late 1996, where she started and ran Full Circle Farm for eight years. In 2005, she co-founded the Kansas City Center for Urban Agriculture, now Cultivate Kansas City. She has worked since the early 1980s with grass roots community organizations in the Twin Cities, Boston, and Kansas City, doing program management, fundraising, marketing, financial management, and organizational development consulting. She co-founded the Growing Growers Training Program and the Farmers Community Market at Brookside. Porterfield grew up on a farm near Alexander, Iowa. He has degrees in Forestry and Water Resources from Iowa State University. 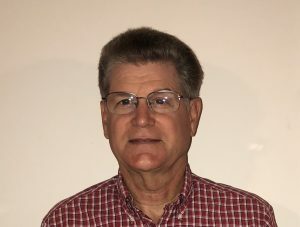 For nearly 30 years, he worked for the American Farm Bureau Federation on issues related to research, soil conservation, water quality, energy, forestry and healthcare. He was a Founding Member of Consumers for Health Care Choices organization and served for a number of years as a board member of the Conservation Technology Information Center. Currently is self-employed consultant as a Watershed/Water Quality Specialist, Ideal Soil Consultant, and owns a small contract research farm. Beau Rillo spent his youth under almonds in Templeton, a small town on the central coast of California, living by standards of organic cultivation and animal husbandry that adhered to sustainability and biodiversity. His love affair with cannabis began at an early age, working towards medical access to cannabis and later recreational access. Beau sought verification through science, partnering with Greg Magdoff at Pharmlabs in San Diego to open four locations, including one on the island of Maui in Hawaii, each validating old world methods with new age innovation. Time spent working alongside the scientists at his labs has helped refine experimental design and develop better practices within farming and processes to increase production. Beau entered into the hemp industry three years ago, pushing for organic standards to accompany the new industry as it emerges from prohibition. Using the development of solution based production, Beau has brought a pioneering approach to both cannabis and hemp industries, matching commercial farming with truly organic methods. Beau envisions a future where the farmer helps rebuild Main Street America. 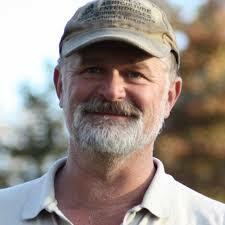 He is currently owner/operator of Leap Farms in Oregon. Dan Kuebler is better know as "Farmer Dan" of the value added sauerkraut and kimchi line called "Farmer Dan's Live Culture Kraut and Kimchi". 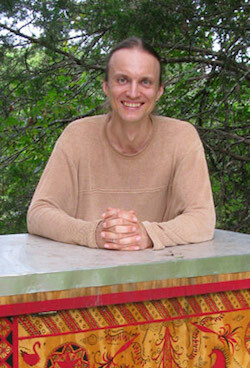 His products are made in small batches and is a "probiotic raw food". He sells his ferments at the Columbia Farmers Market and a number of health food stores in the Mid-Missouri area. 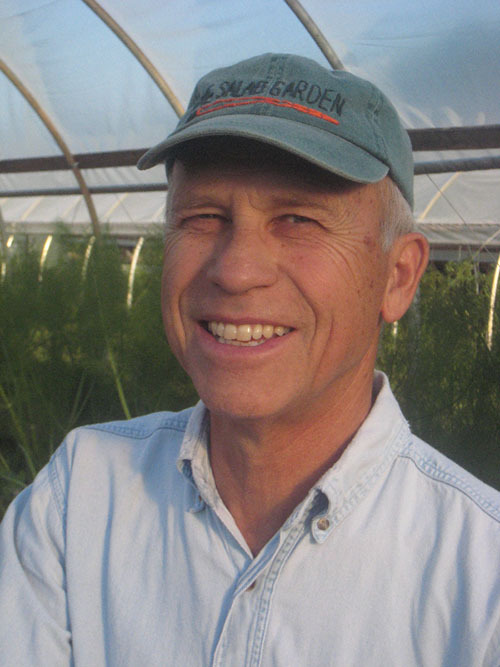 Farmer Dan has operated The Salad Garden farm for 27 years and for the past 5 years has been transitioning into the ferment world of healthy food production. 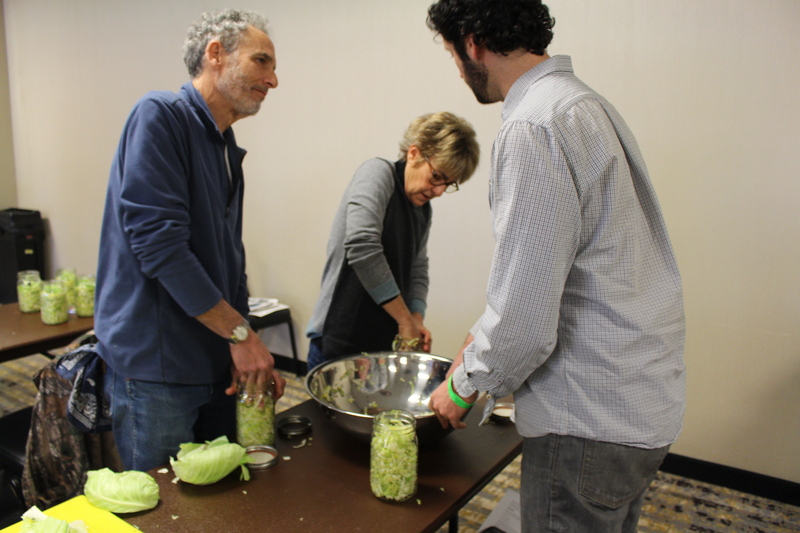 He has taught numerous classes in vegetable fermentation and understand the world of microbes in the soil, the body and in the Art of Fermentation. 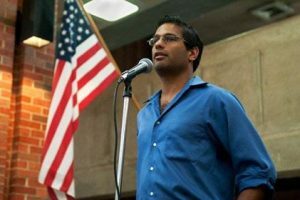 Eapen Thampy is a registered lobbyist and consultant who has worked on building broad-based public support for hemp and cannabis legislation in Missouri with a particular focus on law enforcement and conservative constituencies. 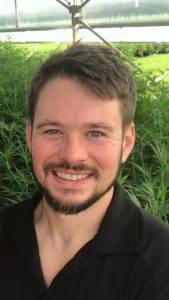 Eapen is the lobbyist who is responsible for agricultural hemp legislation being sponsored in 2014 by Rep. Paul Curtman (finally passed in 2018). Renewable energy has been widely praised as good for our environment and our economy. What are some of the basic fundamentals of how it operates and interconnects to the grid? Is it safe? What are the benefits and the drawbacks of solar energy? 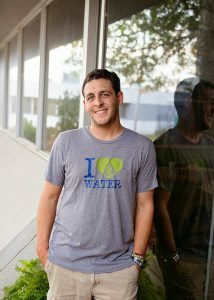 Edward Glaser is a solar energy entrepreneur since 2011. His education background include Computer Science and Productions and Operations Management. Edward has worked in Aerospace Manufacturing responsible for Industrial Engineering Department for a production facility. He has been a project manager for over 35 years managing projects for government, fortune 500 companies, and universities. Sue Baird is schooled in Food Safety (HACCP and GAP) standards, and additionally has managed three separate organic certification agencies. 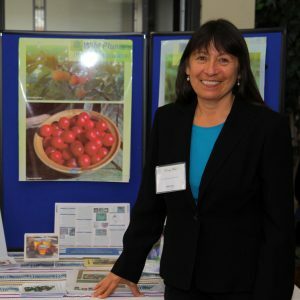 She currently serves on the National Organic Standards Board and on the Advisory Board of Directors of OMRI while also serving on BODs of local organizations that promote local foods consumption in schools, hospitals and at-risk children. Sue currently owns and operates her own consulting and organic audit organization, teaching organic certification standards both domestically in the US as well as in Mexico, Guatemala, Peru and Egypt. 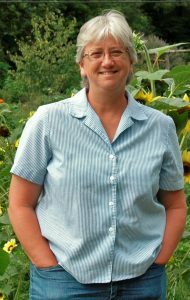 Sue serves as the General Manager of the Mid-America Food Hub and Training Center and was the past Executive Director of the Mid-America Organic Association (MOA). As such she developed the curriculum and serves as the Head Trainer for the Horticultural Specialist Apprenticeship Training under the Missouri Department of Corrections Offender Apprenticeship Training program. 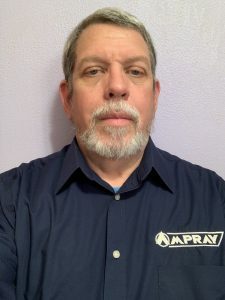 Wade Johnson is an Apprenticeship and Training Representative (ATR) with the U.S. Department of Labor/Office of Apprenticeship. As such, he enthusiastically promotes USDOL Registered Apprenticeship expansion activities and provides related program development and technical services to stakeholders residing primarily within the St. Louis Metropolitan Area and Southeast Missouri. Wade grew up in and around Perryville, Missouri and is a graduate of Perryville High School. 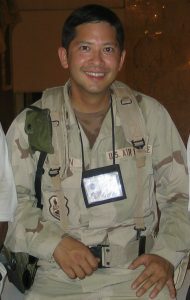 He is an Iraq War veteran and U.S. Air Force retiree. He has a B.S. in Business Administration from Columbia College and an M.B.A. from Washington University-St. Louis. 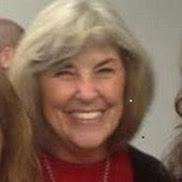 Nancy helped establish Kansas’s first and only Slow Money network in 2013 and is a member of the “kitchen cabinet leadership” of the national Slow Money Organization. She lives in northeast Douglas County on a small family farm (Juniper Hill Farms) where her son, Scott, raises certified organic vegetables for sale to local and regional markets. 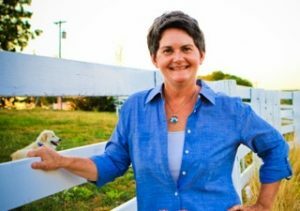 Besides being the proud mother of a first generation farmer, Nancy is serving her third term as a Douglas County Commissioner. Karen’s doctoral research focused on the interactions between soils, grasslands and past climates. This has spurred her passion for rebuilding soils with wise farming. Karen advocates for regenerative agriculture in a broad range of spheres, including statewide through policy work with the Kansas Rural Center, countywide through the K-State Extension, and locally through actively mentoring farmers in her neighborhood to build soil organic matter with cover cropping, rotational grazing of livestock, and no-till farming. Karen has been involved with Slow Money Northeast Kansas since becoming a first-time investor two years ago. She has been enthralled by the power of person-to-person loans to support local farmers and enrich communities. Rosanna farms a highly-diversified operation with her parents and 5 adult siblings in eastern Kansas. 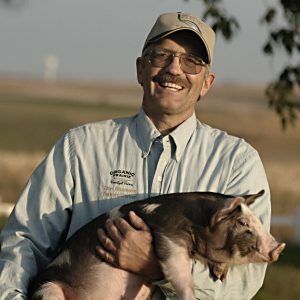 As a first-generation farm, Bauman's Cedar Valley Farms raises and markets non-gmo grains and pastured livestock. They also offer farm services to the community through Bauman's Butcher Block, ANCO Poultry Processing, Bauman's Farm Feeds & Bauman Brothers' custom ag. As beginning farmers, they have employed many financing alternatives, including Slow Money concepts. Presentation Title: "Teaming with Permaculture: Creating cultural resiliency with nutrient dense food production and distribution"
Description: The Permaculture Education Center is a research and education center dedicated to creating sustainable and self-sufficient agricultural ecosystems guided by standardized and peer-reviewed permaculture curriculum and practices. 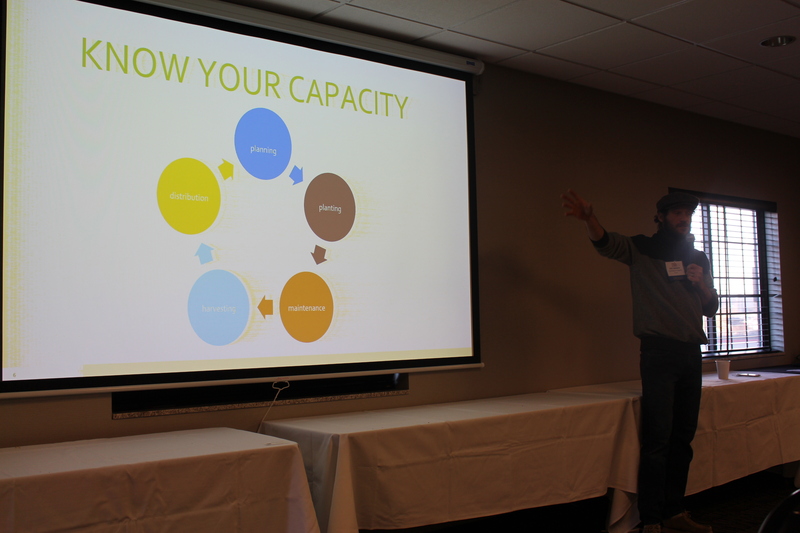 This presentation is a way to educate and empower growers, educators, business owners, and consumers in the possibility of creating a food hub and bulk food co-op, unified in growing practices and going as waste free as possible. This presentation is also to demonstrate the many concepts of how we can integrate this education model, of growing nutrient dense foods, into the many schools and educational programs in the Kansas City area. Personal Bio: Sean Stanton is a gardener, seed saver, educator, and family man. He has been gardening for over 12 years and has started 9 small to large scale growing operations. 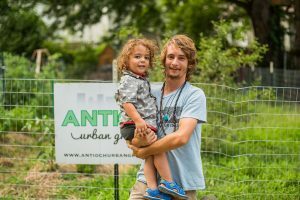 His work has led him to many places including Antioch Urban Growers, where he gained a lot of experience in educating others in permaculture gardening in an urban setting. As he gained a large network of growers and educators, his inspirations led him to the desire to educate a larger demographic and especially children. His inspirations also lead him to founding the Permaculture Education Center where his dreams to educate a larger demographic came true. This conference never fails to get me excited about a new season! Great mentors, teachers, and sources of inspiration to connect with prior to season's start. Interaction with like minded people. 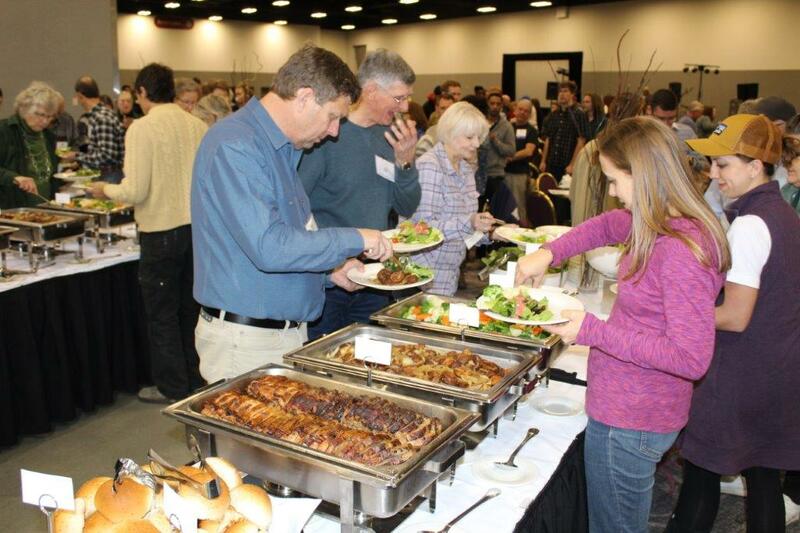 Love the farmers, exhibitors, volunteers & networking. We made contact with several interested wholesalers. Farming conferences always get me motivated for the year and MOA delivered. I hope they ask me back. Thanks for an amazing convention! Learned so much, loved it all! 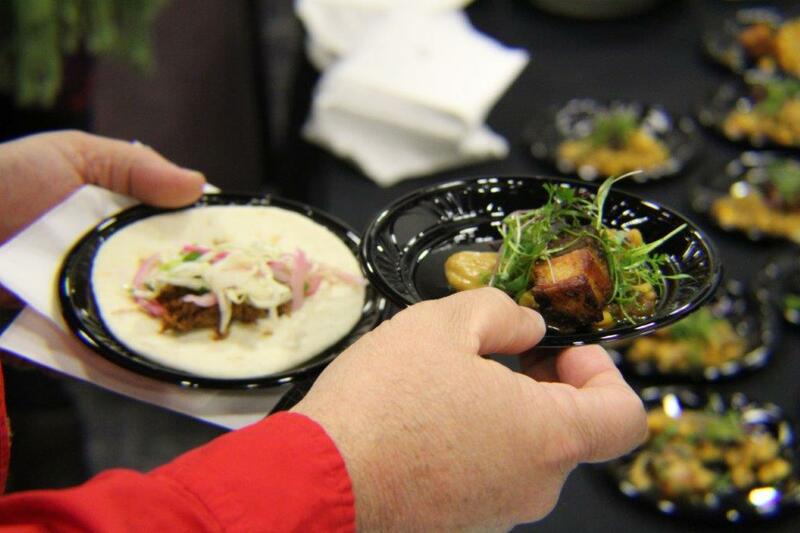 Amazing vendors, presenters, food et al!. We have been attending the conference for at least 5 years and it keeps getting better and better. I am happy to be involved with this organization. The networking, knowledge and renewed passion that I walk away with each year has been so valuable.